PDF Translator Online – How Does It Work? The PDF format is mainly meant for distribution and publication and not for editing. Originally, this was developed as a means to reliably present and exchange documents independent of operating system, hardware, or software. Since you cannot edit PDFs like you can with other types of files, translating your PDF files is always more tasking and time consuming compared to working with the native file formats or the format prior to converting to PDF. The PDF format is mainly meant for distribution and publication and not for editing. Originally, this was developed as a means to reliably present and exchange documents independent of operating system, hardware, or software. Since you cannot edit PDFs like you can with other types of files, translating your PDF files is always more tasking and time consuming compared to working with the native file formats or the format prior to converting to PDF. As far as translation is concerned, there are primarily two kinds of PDF documents. The first one is scanned documents and the second one is those that come with live text. You can easily differentiate these two types. You can open the PDF file then choose some text. In a PDF with live text, you can just choose, copy, then paste a paragraph or word. On the other hand, in a PDF document made through scanning a printed copy, the content will be a series of images where you cannot choose any text or paragraph. Converting the text to editable form is the very first step in translating a scanned PDF. The content should be processed with an OCR or Optical Character Recognition and converted into editable text before translating it. This process is more time consuming, thus more expensive as well. OCR conversions are sometimes inaccurate and require careful reviewing. The inaccuracy results to added steps of proofreading and editing the OCR output. The amount of editing often depends on the scanned content’s quality, the layout, source language, and text size. The worst case scenario is manually retyping all content. This can increase the cost because of the added time in extracting and preparing the text that will be translated. It is easier to prepare PDFs with live text for translation. The OCR conversion, proofreading, and editing process can be skipped and proceed instead into text extraction right away. The editable text will be copied into Microsoft Word, ready for translation. Cleanup will still be necessary here to ensure that all text is extracted, unnecessary hyphens and hard returns are removed, and the text appears in proper reading order. 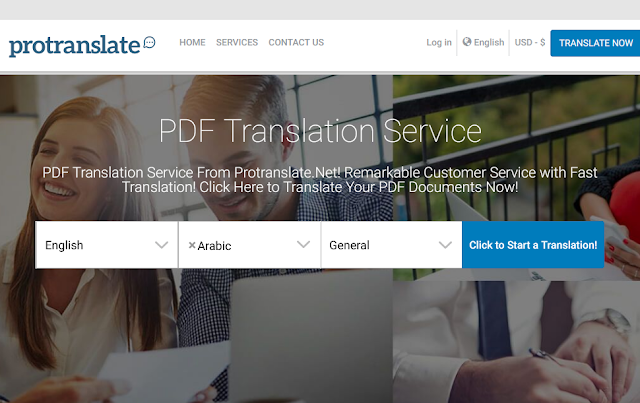 Protranslate's PDF translator online makes the whole process easier and more convenient for you to lessen your worries and save your precious time. ||ੴ||ਇੱਕ ਓਅੰਕਾਰ Satnam Shri Waheguru Ji A Web Blog about Product Review, Blogging Tips, Tech Reviews: PDF Translator Online – How Does It Work?